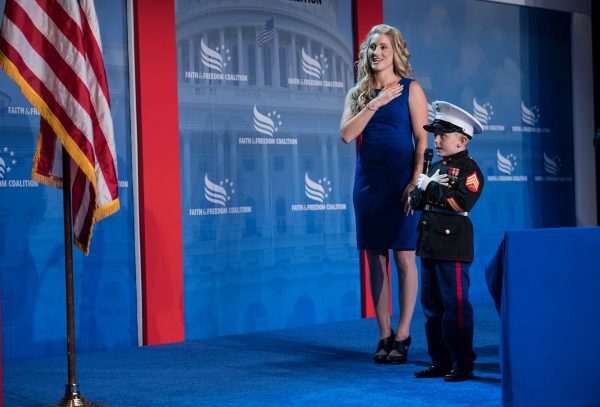 The wife of a fallen Marine, Brittany Jacobs, recently shared her opinion on Nike choosing Colin Kaepernick as the face of its new ad campaign. 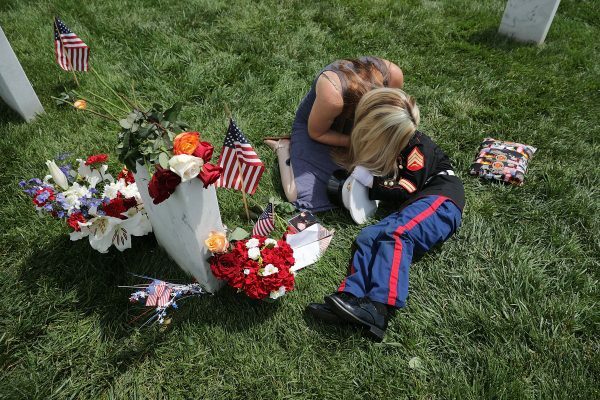 “To see someone who knelt before the flag … be able to say that he sacrificed everything? It’s hard and it’s sad. It’s not right,” she said during an interview with Fox and Friends on Sept. 9. The “Gold Star Wife” said her husband sacrificed “absolutely everything for the flag, for the country, and for that all it stood for.” She felt that Nike could have chosen someone else for the ad campaign. Jacobs’ husband was Marine Corps Sergeant Christopher Jacobs, who lost his life during a training accident in 2011. On Memorial Day in 2017, Jacobs and her 6-year-old son Christian were photographed with President Donald Trump, as the President was walking through Section 60 of Arlington National Cemetery. Jacobs added that she’d like to meet with Nike representatives and Colin Kaepernick at Arlington National Cemetery. Although she said it’s a good thing to be able to protest and people to stand up for what they believe in, she thinks, “it doesn’t mean we all have to agree on how people do it,” adding that her husband would be disappointed in Kaepernick.